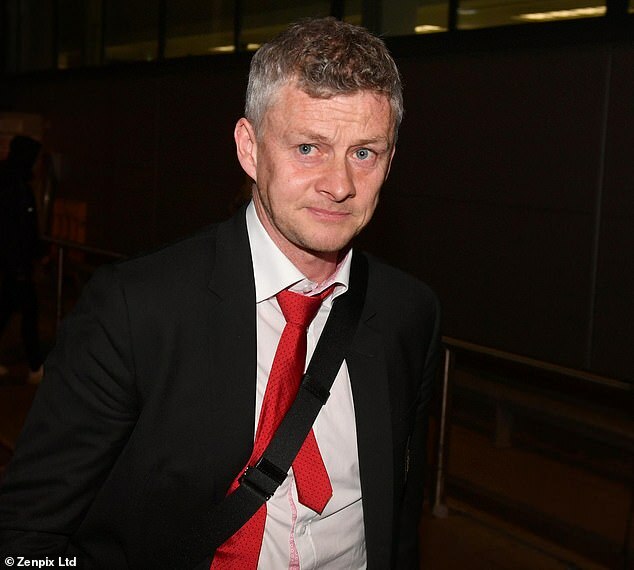 Manchester United’s players touched down back in England late on Tuesday night glum-faced after defeat in Barcelona confirmed their exit from the Champions League. 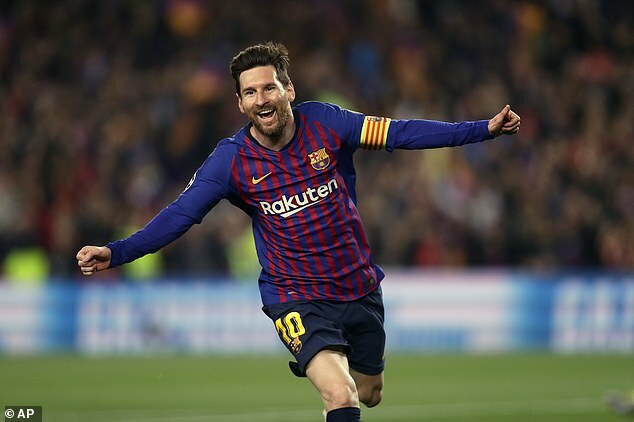 Ole Gunar Solskjaer’s squad were hoping to conjure up a performance that saw them come from behind to beat Paris Saint-Germain in the previous round but Lionel Messi and Co exposed United’s weaknesses. 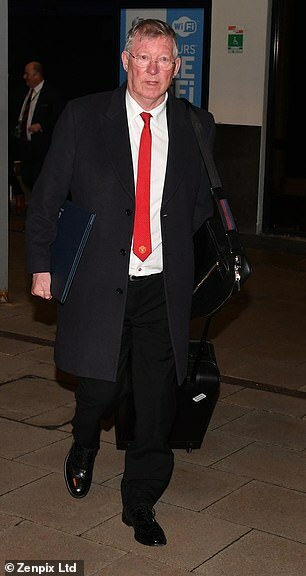 The Norwegian manager looked deflated at Manchester Airport as he and his players were met by a host of the club’s supporters. 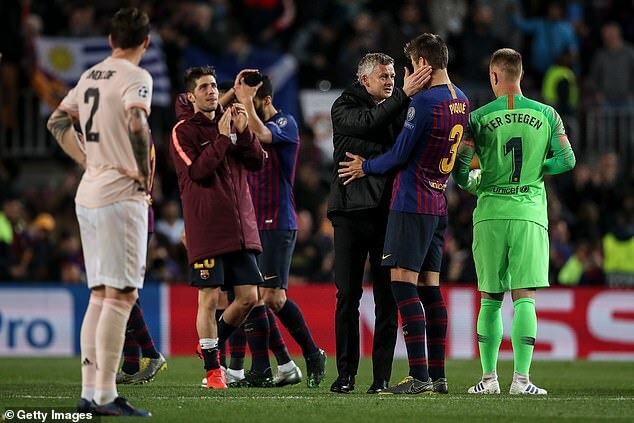 A rare error from goalkeeper David de Gea for Messi’s second goal gave Solskjaer’s side too much to do as the Norwegian plots a summer overhaul to close the gap in quality. 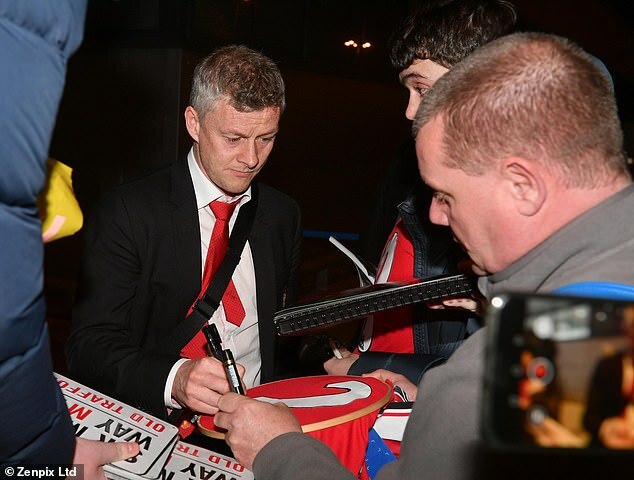 ‘We did well to get here but you could see the difference between the two teams,’ Solskjaer said afterwards. ‘The quality of their finishing was absolutely outstanding. ‘We know there’s work to be done. I’ve said all along this isn’t going to change overnight. United are currently sixth in the league table, two points adrift of Unai Emery’s Arsenal who sit fourth after the same amount of games.